Kazakhstan born iron man Gennady Golovkin 28-0 (25kos) took another step towards boxing superstardom in America last night (Saturday Nov 2nd), with a workman-like, yet destructive, performance in turning back the challenge of Curtis Stevens 25-4 (18kos) at the Madison Square Garden Theatre, New York. This was a fight that had been hotly anticipated by both the fans and boxing media and managed to polarise opinion upon the possible outcome. Some predicted a short one-sided blow-out for Golovkin, while others hailed Stevens as the man who had the power to expose the over-hyped champion. In the event, both sides were wrong. Curtis Stevens didn’t come anywhere near ending the Russian’s reign as WBA World Middleweight champion, but, at the same time, this was no simple one or two rounds walk over for Golovkin either. The first round was close and competitive, instead of going out hell for leather, as some might have expected, Stevens was trying to use educated pressure, while at the same time, favouring a high guard to block the champion’s bombs. Both exchanged shots, with Golovkin favouring his jab and Stevens looking to land the left hook. Although Golovkin won the round, he was finding the diminutive and long-armed Stevens, an awkward target to land cleanly upon. In the second round, both boxers were looking for meaningful openings, with Golovkin landing the jab, and Stevens trying to go to the body with his hooks. Stevens then made the mistake of leaving himself slightly open mid-round and Golovkin exploded a left hook on the side of his challenger’s head. For a moment, it looked to be all over right there. Stevens went down as if he’d been hit by a Greyhound bus and with the shocked expression of a child who has just been told that Santa Claus doesn’t exist. 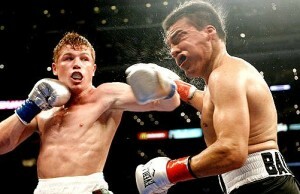 Many fighters wouldn’t have got up from such a knockdown; most wouldn’t have survived the round even after getting up. Stevens managed to do both. Clambering to his feet and then surviving Golovkin’s follow up attack, even managing a few retaliatory shots of his own as the round came to an end. In the 3rd round, Golovkin stalked and looked to put away Stevens, but the challenger showed a tight defence, which was frustrating the champion’s attempts to repeat his success of the previous round. Golovkin went through his impressive array of shots, with uppercuts, rights and lefts, and body shots all landing on the challenger, but none clean enough to drive him to the floor again. Rounds four and five saw Golovkin retain control of the fight, keeping his challenger for the most part backed up upon the ropes, as he unleashed a steady and unrelenting assault upon both head and body. Stevens showed a lot of heart to hang in there and more than that kept looking for ways to fight back. As Golovkin attacked, Stevens would punch back in bursts, showing surprising hand speed that seemed to take the champion momentarily out of his stride. Near the end of the 4th round, Stevens unleashed a combination from the ropes, which drove the surprised Golovkin back on his heels. In the 5th round, Stevens scored with a sharp left and a hook to the body, which both seemed to surprise, if not hurt, the champion. Anyone with any doubt that Golovkin possesses a formidable chin would have been satisfied at this point in time. Golovkin continued to dominate his game challenger in the 6th, with constant stalking and mixing a rapier-like jab, with a debilitating body attack. Stevens was still landing enough now and then to keep things interesting, but he was being increasingly driven onto the defence, and found himself continually covering up on the ropes. The seventh round saw Stevens’ brief moments of success becoming briefer, as the GGG man’s body attack began to take a visible toll. Stevens’ high-armed guard was slipping down and leaving his head more open for the champion’s attacks. Sensing the final weakening of his prey, Golovkin poured it on in the 8th round, driving Stevens once more to the ropes and unleashing a relentless variety of hurtful looking punches to a head and body, which the challenger was finding it harder to defend against. Referee Harvey Dock looked to be on the verge of stepping in a few times, but in the midst of the hail of leather coming down upon him, Stevens was still managing to fire off some retaliatory shots towards Golovkin, but these were now loaded more with desperation, than danger. With the rounds end, Stevens staggered back to his corner on weary legs, gripping the ropes rather than sitting down on his stool, followed closely by the referee. 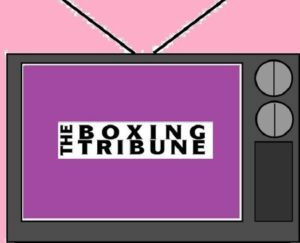 It didn’t take long for both Stevens’ corner, and the referee to agree that enough was enough, and that Curtis Stevens’ brave, but ultimately fruitless challenge of the GGG man, was at an end. In the end, this clash had not been the super-fight that it had been billed as+————–, but neither was it the one-sided massacre, which some would have you to believe. Instead, it was an outstanding champion disposing of a tough and dangerous, but ultimately outmatched challenger. In registering this, his 8th defence of his WBA World Middleweight title, Golovkin was impressive, but perhaps not as sensational as he would have liked. Had Stevens stayed down in the second round, Golovkin’s win would have been sharper and more definite, as it was though, Stevens lasting as long as he did showed us that Golovkin is indeed human. This may actually be a positive in the long run for the Russian, as there may well be certain fighters who will take heart from this fight that Golovkin can be hit, and even frustrated at times by a fighter with the inclination to stand up under his shots, and fire back. 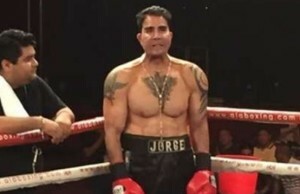 When a fighter is being as skillfuly ducked, as Golovkin is by many of his fellow 160 pounders, showing a little fallibility here and there can be a quicker route to getting big fights than scoring 1st and 2nd round knockouts. Although he is known for his hard punching, and swashbuckling style, it is the technical ability with which Golovkin is able to use his power, that really lifts him above the ordinary fighter. It is Golovkins speed, skill, and precision that makes him such a deadly force in the ring, as much as his power. Now Golovkins sights are set on bigger and more higher profile fights in 2014, with his preferred options being Sergio Martinez and Peter Quillin, and of course Floyd Mayweather (the fight just about everybody bar Wlad Klitschko wants at the moment!). But with boxing being boxing and politics often steering its course more than commonsense or what is right, it is possible that Golovkin may have to look to the Super-middleweights, and fighters like Andre Ward and Carl Froch, if he is to gain his own super fights. 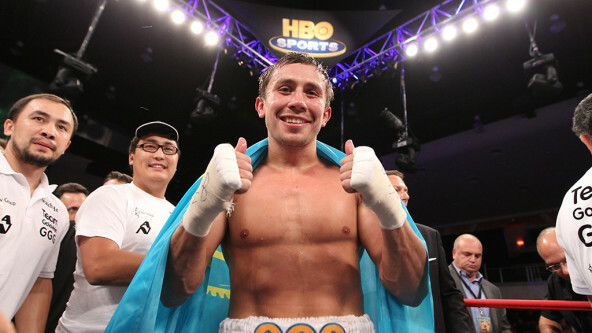 However, for the time being, Gennady Golovkin is a super fighter in search of a super-fight.